Who is N For Nerds? N for Nerds is a website dedicated to Movies, Video Games, TV Shows and Comic Books. We offer impartial reviews in the hope that people will think about whether these Games and Movies etc. are worth their hard-earned cash. Pretty soon, we hope to be doing Video Reviews and also Streaming Gameplay videos on our YouTube Channel. We do this because we love all of these things and we want to share our passion with you guys. We will use the donations made by our Patreon pledges to make our content the best it can be and also help us with maintenance costs for the website and further marketing. Who is N For Nerds Aimed At? N For Nerds is aimed at Gamers, Movie-goers, Comic Book fans and everyone in between. We welcome all of our fans with open arms and hope we can offer the best advice because we too, are fans! Please share our movement with everyone you know, we would like as many people as possible to be involved. Thank you so much for helping us! We have some really big plans for the future and would love it if you would come with us on the journey. Your support means the world to us! Even if you don't donate, please still check out our website. You will receive the gratitude of the whole N for Nerds team for helping us to keep the content flowing and you'll be automatically entered into all our competitions. Want to influence the reviews? Your comments on posts may be picked as the topic of one of the next reviews or one of the live streams and and all previous rewards. We will post an official Thank You Mention on N For Nerds' Facebook Page and all previous rewards. You get to pick what we review and all previous rewards. Every month you will be entered into a special Tier 5 competition for a chance to win exclusive Prizes, plus all previous content. You will also be entered 5x into our monthly draw. We want to make N For Nerds our main focus and in order to do this we need to make enough money that would not only help us make a living wage but also make N For Nerds the best we can possibly make it. We want to ensure that N For Nerds can provide high quality and consistent content for our fans. Our YouTube Channel will focus on a series of Let's Play videos, we believe that Gaming should be fun so we want to showcase our gaming activities for the purpose of comedic entertainment through our channel. 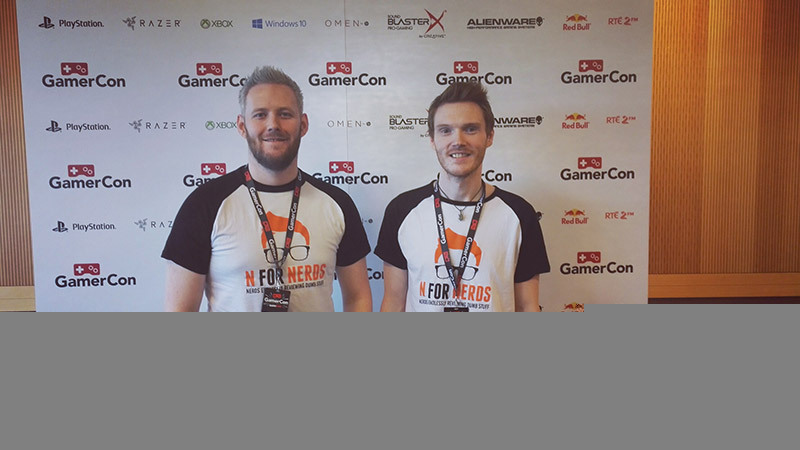 N For Nerds is comprised of 2 friends Gerard and Marty, who are passionate about all things gaming and movie related. We started on this journey about 6 months ago and we have made some great progress in the gaming, comic and movie industry. We were invited to Newcastle Film & Comic Con as Press guests and also to Ireland's Largest Gaming Convention GamercCon as Media Guests. This has all come through our own hard work. We don't get paid to run N For Nerds so we are immensely grateful to our pledges, we thank you for your support. Please check out our website and don't forget to follow us on our Social Media Profiles.